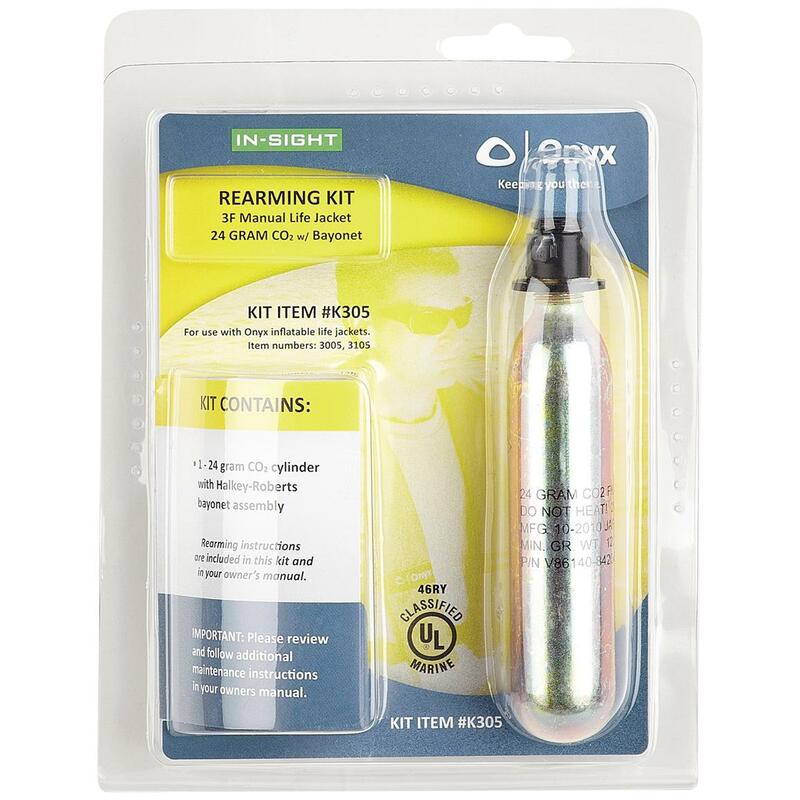 Onyx® In-Site M-24 CO2 Manual Rearming Kit Inflatable PFD 3105. Boating safety has never been so comfortable. 24-gram CO2 cylinder with Halkey-Roberts bayonet assembly. Water-soluble bobbin. Fits A-24 In-Sight Manual Inflatable PFD. 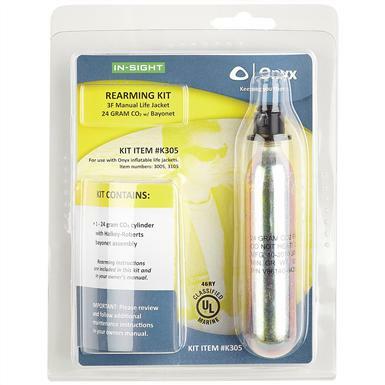 Onyx In-Site M-24 CO2 Manual Rearming Kit Inflatable PFD 3105 is rated 5.0 out of 5 by 1.